The family of a South Belfast man who took his own life earlier this year after being turned away from a mental health facility are to meet with health bosses next week to discuss their anger over his “lack of care”. Markets man John Murtagh died by suicide on February 19, the day after being referred to Windsor House, a mental health inpatient unit at the City Hospital. However, according to his sister Andrea Collins, the 45-year-old was told by staff at the facility that he “would be worse off” if he stayed there. The following day the Friendly Street man, who was known locally as ‘Jinksy,’ took his own life. 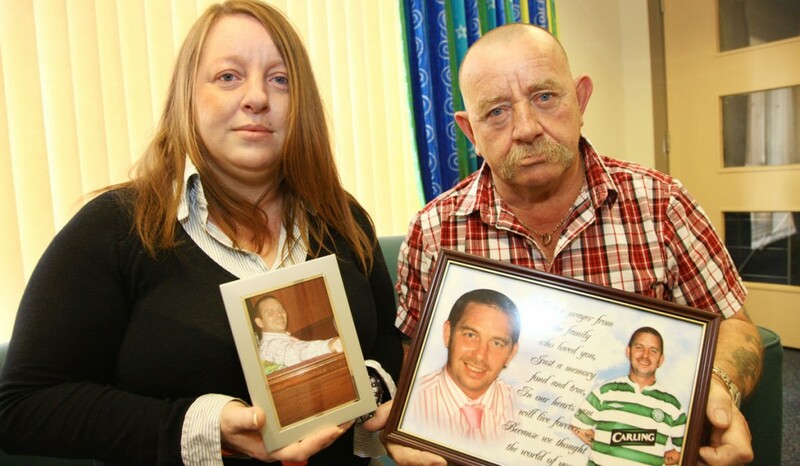 Now Andrea and other family members will meet representatives from Belfast Trust next Wednesday (September 14) to express their fury over what they claim was negligent treatment of their loved one. “He had been crying out for help for a long time and tried to kill himself before,” she said. “He had been in prison and his marriage had broken down, so I think things were getting on top of him. He asked my dad to take him to the doctor and he then referred him to Windsor House. She said John’s family – he had five daughters and one granddaughter – were seeking “answers” over what happened to him. A previous meeting arranged for July was cancelled at the behest of Belfast Trust, although no reason was given. “This wasn’t the first time my brother had attempted something like this. He had been doing silly things for a while to get arrested and put in jail where he knew he’d be watched over. “He was out of prison just over a week when he died and I’ve never seen a person who was so unhappy to be out of prison. He wanted to go back as he knew he would be on suicide watch. I was actually hoping he’d go back to jail rather than be left out in the world, that’s how bad it was. A football tournament will be held this Saturday (September 10) on St Malachy’s Primary School pitches in Eliza Street in the Markets between noon and 6pm in memory of John, as well as coinciding with World Suicide Prevention Day. Andrea said it would be a fitting tribute to her brother. “He was very well known here, the Ormeau Road and Short Strand, and my dad came up with the idea. You never really get over this sort of thing but if helping raise awareness stops even one person taking their own life, then it’s a silver lining. A Belfast Trust spokesperson said it couldn’t discuss individual cases of any patient. “However, we will always meet with members of families to discuss and try to resolve any issues they may have in relation to treatment provided by Belfast Trust,” added the spokesperson.